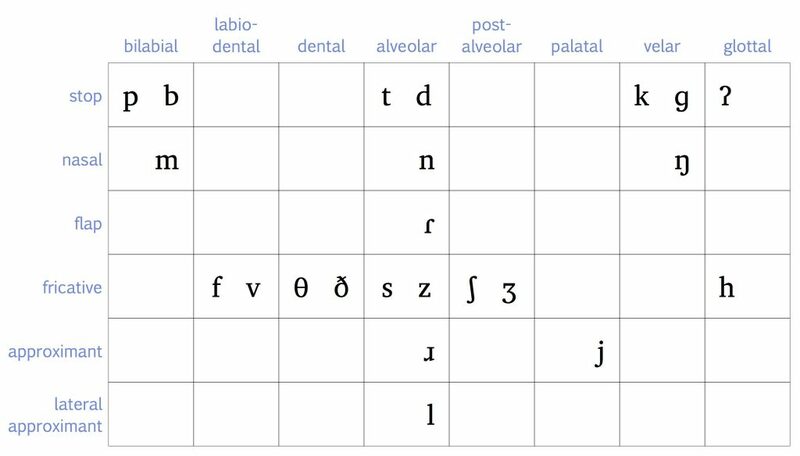 You can see the official version of the full IPA chart on the website of the International Phonetic Association here. In Essentials of Linguistics, we concentrate on the IPA symbols for transcribing the speech sounds of Canadian English. 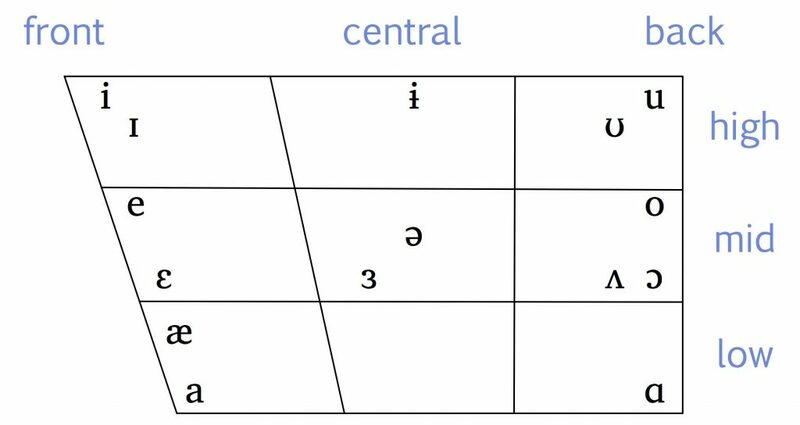 Remember that this table lists the manner of articulation from top to bottom in order of how obstructed the vocal tract is: the greatest obstruction is for stop consonants, and the least obstruction is for approximants. And from left to right, the table depicts a place of articulation, starting at the front of the mouth with the bilabial sounds and moving all the way back to the glottis. When there are two symbols given in one cell, the one on the left is voiceless and the one on the right is voiced. There are three speech sounds that are part of Canadian English that don’t fit neatly into this table. Remember that affricates have a two-part manner of articulation: they begin with a complete obstruction of the vocal tract, but that obstruction is released only partially. You can think of an affricate like a stop combined with a fricative, and the symbols that we use to transcribe them reflect that. Because they have a two-part manner of articulation, the affricates [tʃ] and [dʒ] don’t fit into the consonant chart. The other sound that doesn’t fit on the chart is the approximant [w]. It has two places of articulation: the lips are rounded, and the body of the tongue moves towards the velum. So the IPA’s name for the segment [w] is a labial-velar approximant. Remember that the vowel trapezoid is meant to correspond to the position of the tongue in the mouth.